Par-ky is multi-layer parquet which combines the warmth and unique design of real wood with the advantages of laminate. Par-ky is as easy to install and maintain as laminate flooring. Yet there is a big difference: the top layer of Par-ky is real wood, and not an imitation print as with laminate. What you see and what you feel is natural wood. There are no 2 identical trees and therefore each board is unique. That is exactly what makes the difference in your home, office or shop.. A Par-ky floor shows off the most beautiful wood nature has created to a very high level of quality. New to the range are the top layers in 2mm and 3.2 mm and the exceptionally attractive sizes. Par-ky loves wood, so we are very careful how we use this precious, natural resource. We optimise the use of this raw material by slicing it into very thin flitches instead of using thick lumber boards where most of the wood is underutilized. In addition, all our wood comes from sustainable forests. Nearly one third of the energy that we need for the production of our floors is generated by our own solar panels. Last year we also installed 2 wind turbines that provide us with extra sustainable energy. We also reduce our waste by collecting sawdust and wood chips which can be used as heating fuel during the cold months. Less waste, less fuel, fewer emissions. 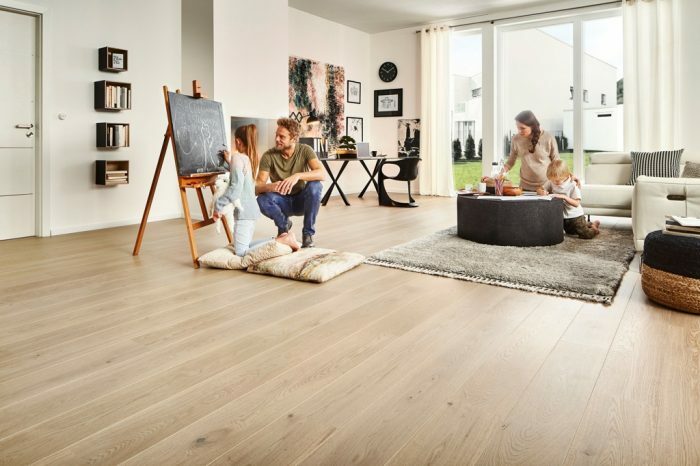 It's a fact: the quality of the air is better in rooms with a Par-ky floor. How is that possible? We use only water-based stains, glues without VOCs (Volatile Organic Compounds) and lacquer with a minimum of solvants. The HDF layer (High-Density Fibreboard) which is used in the core of our board is of the highest quality only. 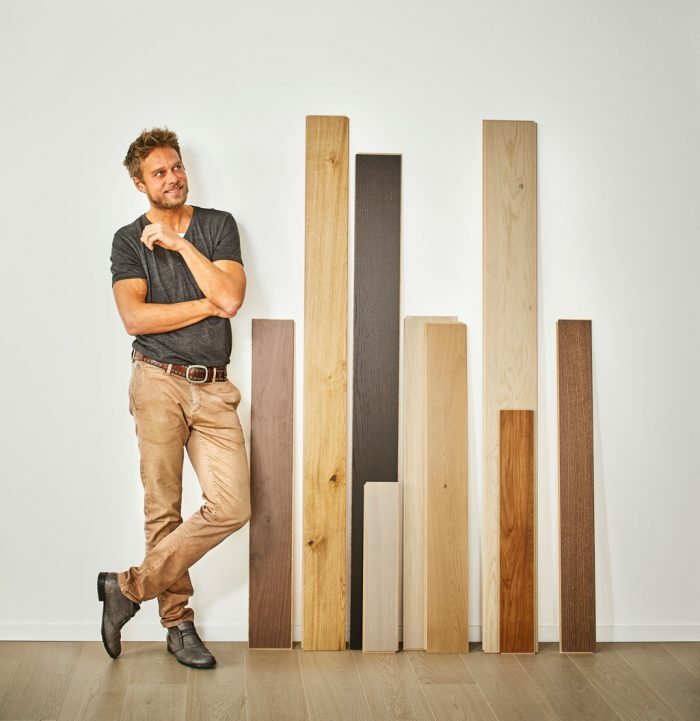 This allows our floors to earn an A emissions grade in Europe with some Par-ky collections scoring as high as A+. WHAT IS BRUSHED ? WHAT IS SEALED ? 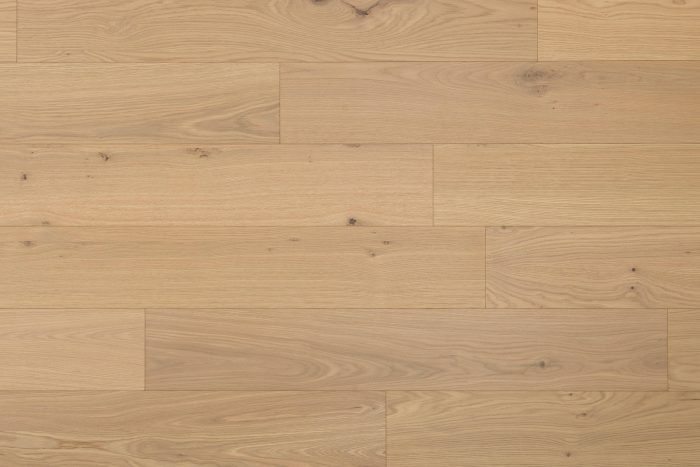 The 8 hardened lacquer layers make Par-ky an ultra strong floor and protect the wood from moisture and dirt. The secret of our strong floors lies in the DSI system. DSI stands for Double-Sided Impregnation. During the pressing process, the glue is pressed as deeply as possible into the wood until the saturation level is achieved. During the lacquering of the top layer, the wood absorbs part of the varnish, that hence makes contact with the glue. The wood is completely saturated and becomes extra strong after hardening. 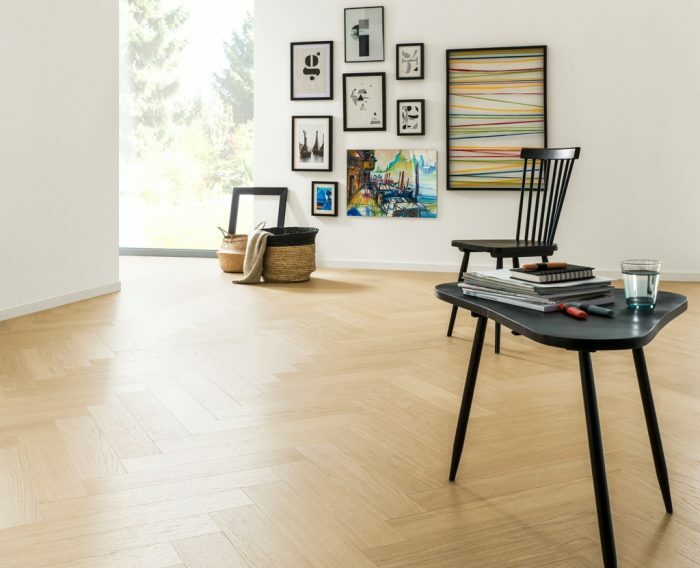 All our floors allow heat to radiate faster than other parquet floors. This means they are ideally suited for installation over radiant heat floor systems. You can find our handy installation tips at www.par-ky.com/us/downloads.